The temple prayer hall holds devotional services twice a day. Experience the calming, peaceful state of mind by listening to the chantings and meditating on the personal form of God. 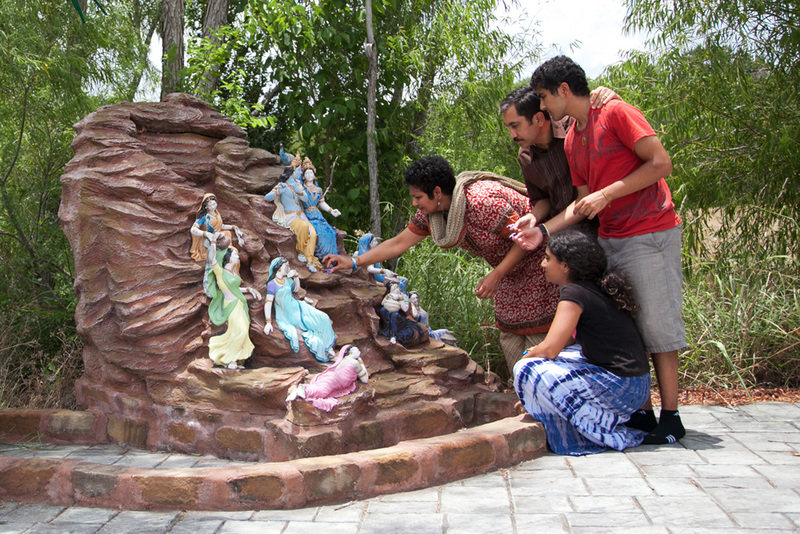 This is called bhakti and is an essential part of the ashram experience. Imbued in the dieties of Radha Krishna is the Grace of our Founding Guru who inspired these divine manifestations of God. Appreciate the beauty in the Divine Forms of Radha Krishna, as you visit the three shrines which are the main attractions of Radha Madhav Dham: 1) The main shrine inside Shree Raseshwari Radha Rani Temple, 2) the Maharas shrine in the garden behind the temple, and 3) the Gopeshwar Mahadev shrine next to the courtyard. Engage your body and mind in devotional service. Devotional service means doing some physical service in the ashram while humbly remembering that you are doing this as an offering to God. Doing seva in this way not only rewards a person with a deep sense of calm and belonging, but opens him to receive the Grace of Radha Krishna. 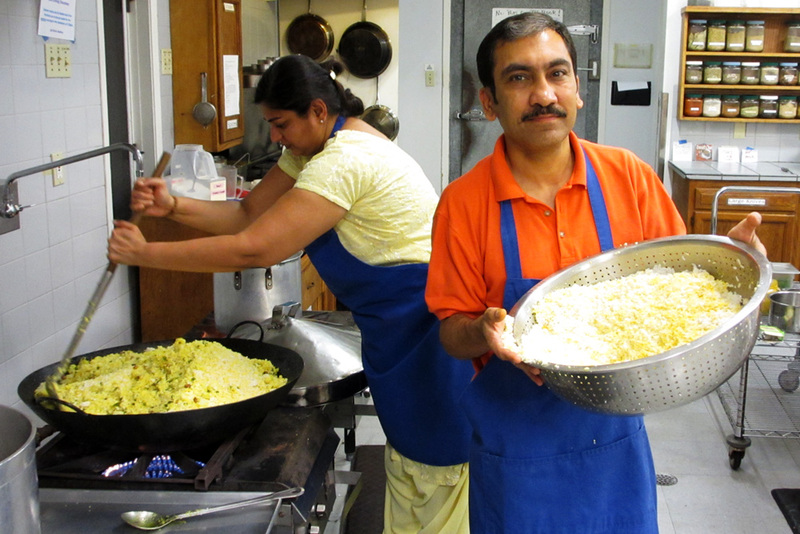 Doing seva in the ashram is an important way of experiencing the closeness of Radha Krishna. Take time to stroll in the blossoming gardens and follow the walking paths that lead to the many holy places. Feel like Radha Krishna are living in these holy places; sit and meditate on the banks of Kalindi, do parikrama of Govardhan hill where Krishna played with Gwalbaals, and find your inner calm on the several ras mandals and other secluded holy places at the ashram property. 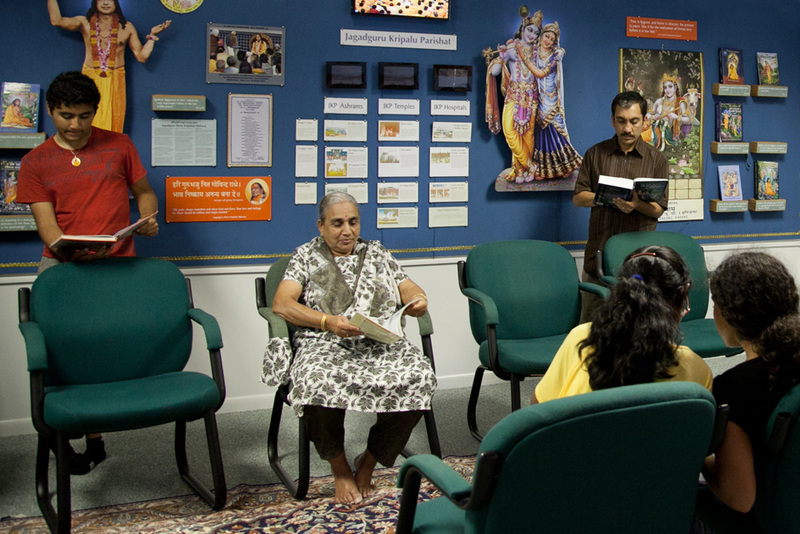 Find some time to visit the temple reading room to read one of the amazing books written by Jagadguru Shree Kripaluji Maharaj about the path of bhakti. Videos of his speeches are also available there. 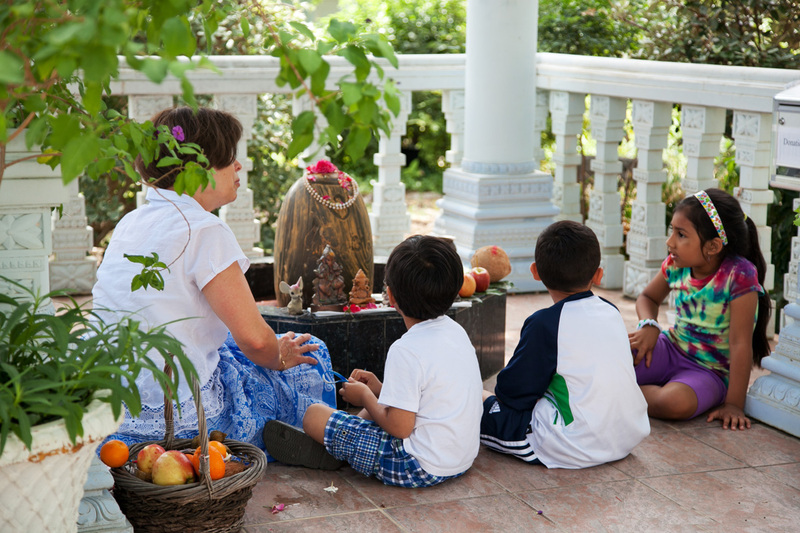 Kids can participate in the youth classes on Sunday mornings to develop an understanding of and an appreciation for Hinduism. Take advantage of the opportunity of being away from the stresses of daily life. 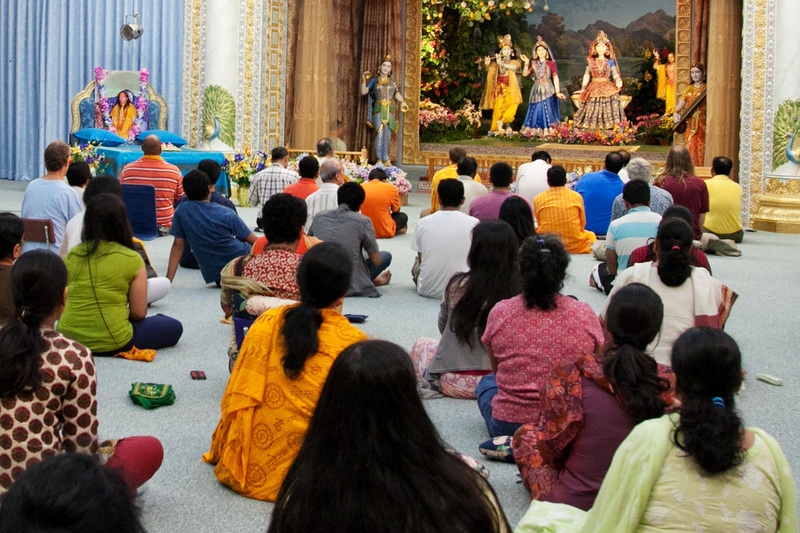 Experience the devotional vibrations of the Holy Dham. Continuously remember the name of Radha Krishna in your heart. 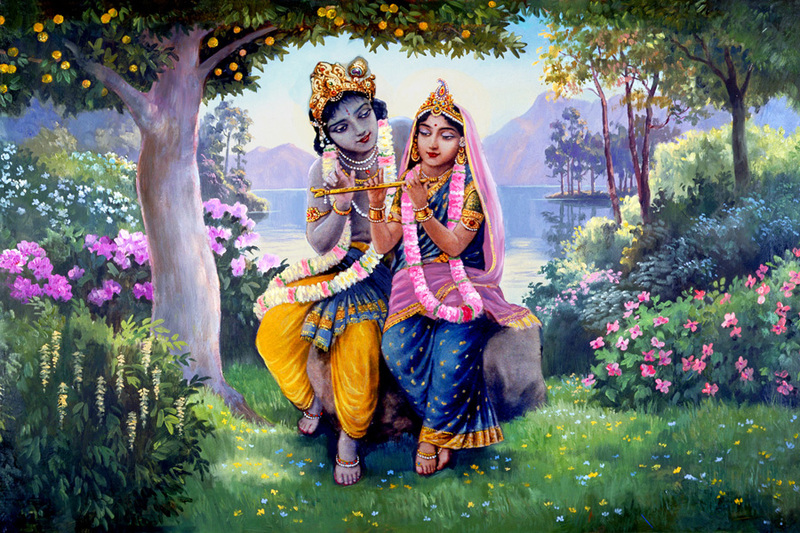 And along with this remembrance, every moment, try to feel the personified presence of Krishna or Radha with you. Come Back Again And Again! This is Your Spiritual Home! 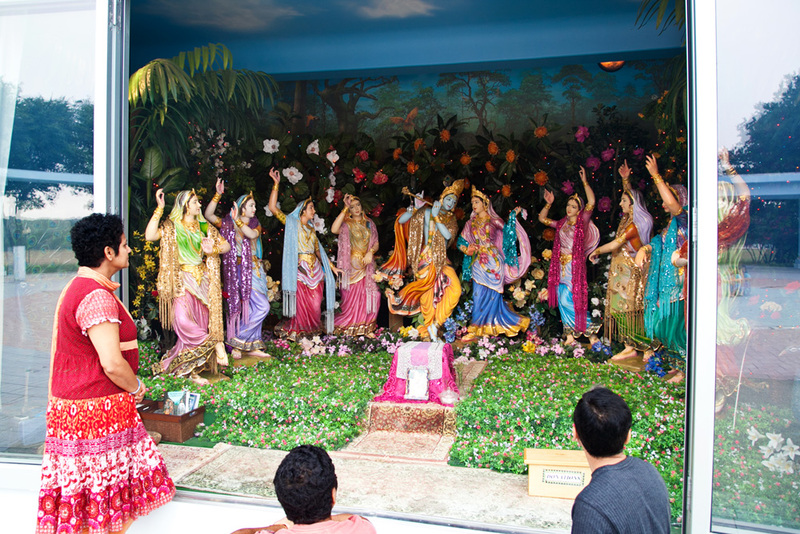 Make Radha Madhav Dham Your Own! Through adverse and negative thinking, a devotee inflicts great harm and loss upon himself.